As you may know, His Holiness the 17th Karmapa will soon be visiting Europe for the first time and giving precious teachings and empowerments in Germany. Ani Rinchen Khandro will be representing Samye Dzong Edinburgh at these events and many other members of the Samye Dzong community will also be attending. 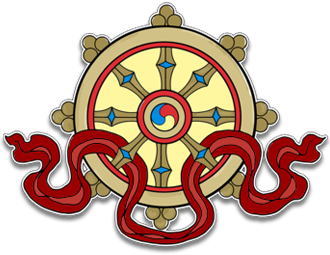 This means that there will be some changes to the regular weekly programme at Samye Dzong during the last week of May. In place of Chenrezi Puja on Tuesday May 27th, Lunchtime Meditation on May 28th, Tara Puja on May 29th and Guided Meditation on June 2nd the Shrine room will be open and available for personal practice and meditation from 6.30pm to 7.30pm. (Yoga classes and the Buddhist study group are unaffected). Normal service will resume on Tuesday June 3rd with Chenrezi Puja at the usual time. We hope you will not be too inconvenienced by these temporary changes, but rather rejoice at the reason for them! Whether or not you are able see HH Karmapa in Germany, you may wish to attend the course on The Karmapa Incarnations at KSD Edinburgh on June 15th which includes a screening of His Holiness’s recent teachings, the next best thing to seeing him!